David Lee’s “Gravity Golf” teaching method will prepare recent graduates for a pro-golf career—in one year! Tour Express—a revolutionary program designed to train high-level athletes to qualify for the professional tours—has launched at Boca Lago Country Club in Boca Raton, Fla. The leader of Tour Express is David Lee, one of the most forward-thinking instructors in the game. Lee created Gravity Golf, the one-of-a-kind instructional program that relies on the golfer’s body mass, rather than muscular strength, to create an effortless swing that produces maximum efficiency and control. Gravity Golf Schools have been based at Boca Lago Country Club since last fall. Using his Gravity Golf method, Lee and his instructors will prepare recent college graduates—all high-level, Division I athletes but, critically, not golfers—to be competitive and have pro-golf careers. According to Lee, it normally takes 5 to 10 years to turn a beginner into a professional; Tour Express will do it in one year. The first four athletes recently began working with Lee and his staff, living and training at Boca Lago Country Club. Alexis Gray, Cleveland, Ohio. 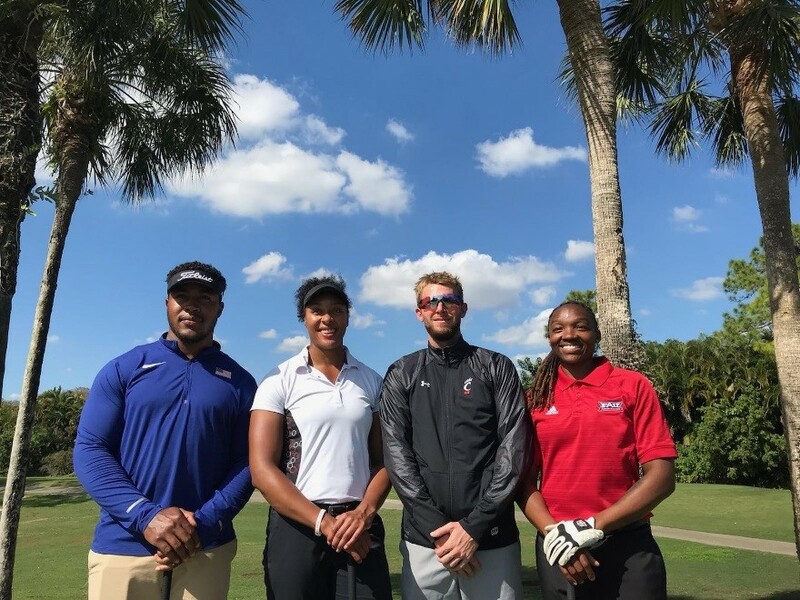 A three-sport athlete in high school, she received a scholarship to University of Cincinnati where she threw discus, shot put, hammer, and weight. She graduated UC in 2018. Emily Lochten, Lake Worth, Fla. A basketball and softball player in high school, she played one year of softball at Florida Athletic University, from which she received a degree in Exercise Science and Health Promotion in 2018. She has her own holistic athletic-training company and is an assistant softball coach at Boca Raton High School. Phil Jagers, Solon, Ohio. A high-school wrestler, football player, and track star, he became a three-time NCAA All-American in track and field. Jagers contended for the Olympics and World Championships in discus and shot. He was a Mid-American Conference record holder while at University of Akron, from which he graduated in biochemistry in 2017. Eric Stampfl, Dix Hills, NY. A natural athlete who attended Long Island University’s at the CW Post Campus on a full ride baseball scholarship, Stampfl switched sports after a career-ending arm injury. He most recently worked as a tennis professional through the U.S. Tennis Association at the 5.5 level. Other Gravity Golf programs are open to the general public, where interested golfers may attend half-day informational seminars at Boca Lago, observe the Tour Express players, and learn more about how to accelerate the golf development process through the Gravity Golf philosophy, which focuses on all parts of the game—full swing, short game, and what causes and fixes the “yips” in putting, chipping, and pitching. Gravity Golf School programs are also available at Boca Lago for any aspiring golfers, as well as individualized instruction for Boca Lago members. Boca Lago Country Club recently completed a multi-million dollar renovation. Award-winning architect Jan Bel Jan reimagined the original Bruce Devlin-Robert Von Hagge 27-hole golf course. Extensive work also was done on the practice facilities, clubhouse, and 20-court tennis club, all on club property. The transformation of Boca Lago Country Club will strengthen its reputation as one of the area’s premier venues for private events, weddings, corporate/charity golf tournaments, and community fund-raising initiatives. More information about Gravity Golf is available at www.gravitygolf.com. Boca Lago Country Club is located at 8665 Juego Way in West Boca Raton. For more information about the club, visit www.bocalago.com.